Štěpán Zavřel was born in Prague in 1932, yet he lived in Rugolo di Sàrmede from 1968 until the day he passed away in February 1999. He was one of the most important and representative illustrators of the European arena in the last thirty years. A versatile artist with an extraordinary inventive skill, architecture, decoration, scenography and creating frescoes which even today still adorn the streets of Sàrmede. He co-conceived the idea for the le immagini della fantasia Exhibition and founded the International School of Illustration; Štěpán Zavřel dedicated his whole life to art and illustration leaving behind him a wealth of creativity which even today continues to generate new ideas and projects. Sàrmede has dedicated a Museum and a square to him, and year after year carries on developing its project centred on the art of illustrating children’s books and the training of young professionals.Thanks to the presence of this artist, Sàrmede has become ' dressing ' of illustration : in 1997 Stepan Zavřel started to fresco outside the Town Hall and , Jozef Wilkon , Polish illustrator recognized worldwide, continued in 2000 for creating the frescoes , sculptures in wood and metal and an impressive fresco in the Council Hall . Since then we enter City Hall through a landscape between the fantastic and the real, populated by a local wildlife , exotic and fantastic animals. Since 2005 have been painted by Wilkon also the five arches of the exterior facade to tell the stories of local Saints : St. Cecilia , St. Anthony of Padua , St. George, St. Pancras, Saints Canzio , Canziano and Canzianilla . Today there are nearly fifty frescoes and paintings by illustrators , artists and students of the International School of illustration Sàrmede . The tour of the museum and the frescoes in Sàrmede by an expert of the Foundation. During the year, the tour can be arranged on request. 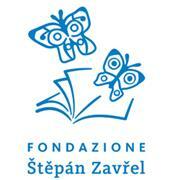 d'lllustrazione per l'Infanzia "S. Zavrel"